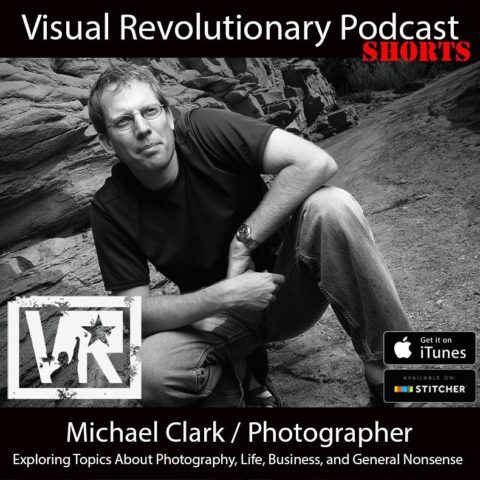 Last week I had a conversation with Ric Stovall of the Visual Revolutionary podcast. This was one of his new short podcasts, i.e. 30 minutes instead of a few hours, where we discussed the future of photography and specifically how the equipment has changed the industry. We covered a lot of ground in this interview including what I’d like to see in future cameras in the near future, as well as where I see photography going in the long term. It was a fun conversation and we also highlighted how the technology affects the photo industry and professional photographers as well. Ric is doing a stellar job with this podcast. I find myself listening in to all of his podcasts while I travel. I am always fascinated by how other photographers got their start and how they got to where they are today. If you are interested in my story, you can find my in-depth interview with Ric in Episode 42. I hope you enjoy this little short and check out some of the other podcasts. There is a ton of great insight in these podcasts! I am really stoked that Ric is doing this and is continuing the series. Keep up the great work Ric! Paul Morin - Enjoyed your interview. Visual Revolutionary is the best.